How To Record And Release A Song Worldwide… In 6 Hours! Firstly, apologies for the lack of updates over the past few days! Some of you may know that, as well as being a full time blogger and programmer, I’m also a singer/songwriter and am currently in the process of recording my first solo album. I’ve been kept busy over the past few days with that project and, having just released my first single, I thought it would be an interesting post (if a slight tangent) to share how I used the internet to release my song worldwide – literally within hours of it being recorded. So, here’s how I managed to record my new song, shoot a video (and post it to youtube) and release it worldwide on iTunes, Spotify etc, all within 8 hours! Ok, I won’t dwell too much on this as we’re focusing on the internet side of things, but for those who are interested, I recorded my song using a 16 track digital interface (specifically the Tascam US-1800) and mixed/mastered it in Sony Acid (mastered using the izotope ozone plugin). It’s quite a lo-fi track, just acoustic guitar and vocal (double tracked), so the recording and mixing took me around 2 hours. I started around 7.30pm on Saturday and was happy with the master at about 9.30. 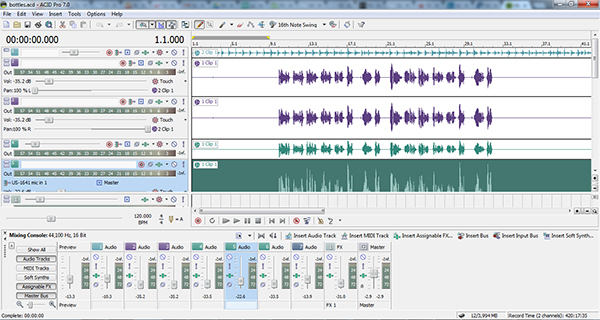 I uploaded the finished track to my soundcloud account and decided that the next thing I needed was a video. One of the main lyrics in the track is ‘you and I are just treading water’, so for the video I had the idea of just walking from my flat to a phone box and shooting from the waist down, hopefully making it look a little like my legs were treading water! As it happens the walk took pretty much exactly the length of the track and it took me two takes to get the timing right. I shot the video using my iPhone 4S and edited it in Adobe Premier Pro CC. There wasn’t much editing required; just grading it to black and white, reversing the direction of the video (so it looks like I’m walking backwards) and mixing in the track. 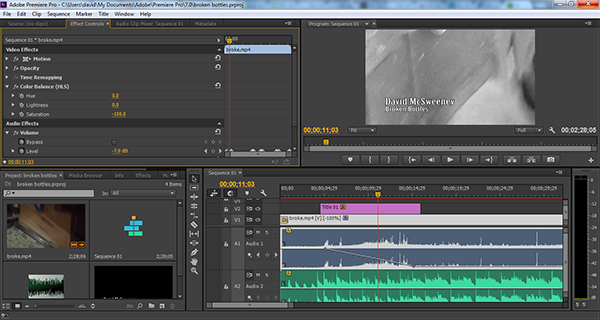 I also used the original audio from the video at various points for a bit of extra ambience! All in all the process of recording and editing the video took about an hour and a half and I was ready to upload to youtube around 11pm. The video was live on youtube around 30 minutes later. So, now here’s the cool part and why the internet is so amazing! Back in the day, to release a song you would probably need a record label and even then it would take months (or years) to get your song released. These days it’s a lot easier! I’ve been a spotify user since its early days and I really wanted to get my music on there, so I fired up google and searched for ‘how to get your music on spotify’ (a lot of thought went into that search!). I ended up on this page (screen shot below) which explained that to get my music on the service I would need to sign up with one of their artist aggregators (listed here). Well, not wishing to expend valuable energy on scrolling with my mouse, I chose the aggregator at the top of the list, which happened to be cdbaby. as simple as following a wizard, with prompts for uploading your track, adding artwork etc and cost just $17.95, which included an exclusive barcode for the single. The only thing I didn’t have yet was artwork (i.e. 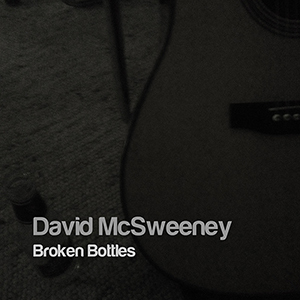 a cover), so I took a quick snap on my iPhone of my guitar with an empty miller bottle beside it (the track is called Broken Bottles), made it dark brown in photoshop, added my name and the title and I was done! I filled in the bits and pieces where required, told them to distribute it everywhere (why not! 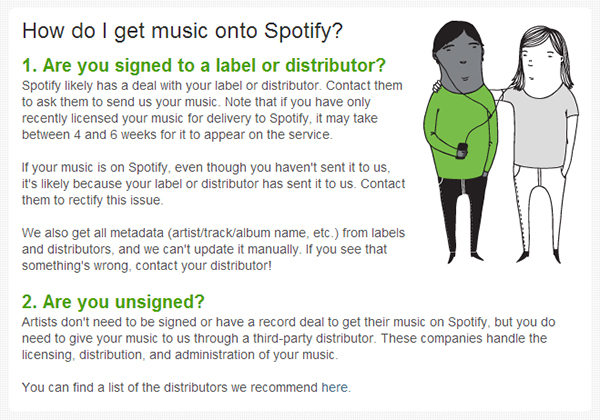 ), paid the money through paypal and within about an hour and a half of signing up my track was ready for distribution. So, at 1am, 6 hours after starting the process of recording, my track ,Broken Bottles, had been released worldwide… surely it couldn’t be that easy? Well, yes it was! It takes a few days for them to sort out licensing etc with iTunes, Spotify etc, but sure enough, this morning I checked and my single is available to buy on iTunes for the price of a Mars bar (£0.79, or $0.99 in the US). Oh, and if you have a spare 79p, and would like to help me break into the top million in the charts 😉 you can buy the track here. But you’ll probably want to hear it first right, so here’s the youtube video I mentioned above. Hope you like it, and in a final bit of self promotion here’s a link to my facebook page! Very Nice , I should appreciate your choreography skills too with your Voice. Wow, Thanks for share about sharing own voice in worldwide. By the way, my question is, this post not related in SEO or blogging. Why you publish this non-relevant post here. Isn’t it risky for blogs or …….? Hi Mohammad, I thought it would be interesting to write about as it shows how the internet has made things possible today that wouldn’t have been so 10 years ago. I really like this post too much. Nice Tuts, tnx for share wid us. realy good info. Oh my God! Is it really possible to us. I just can’t believe this. Really awesome and should be valuable for all the singer. I appreciate with you.